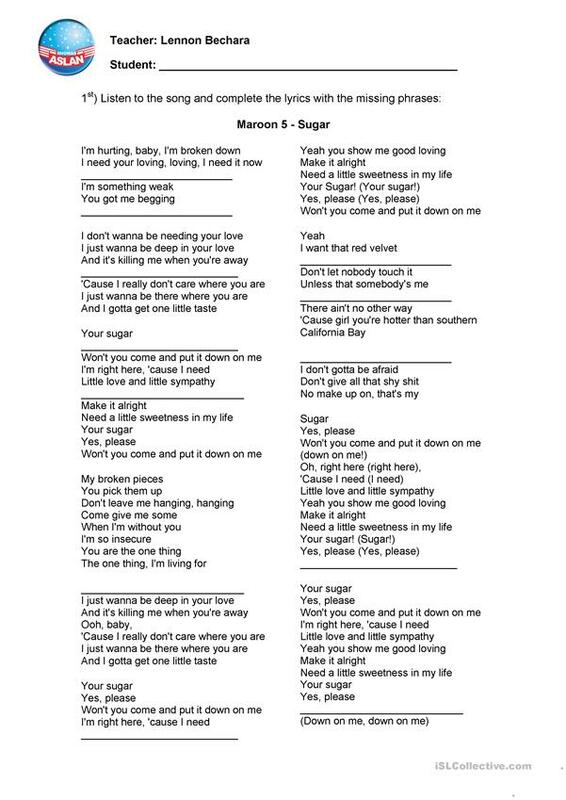 This worksheet deals about the song sugar from the band Maroon 5. In this activity the students should complete the lyrics with the sentences that are missing. This downloadable teaching material is best suited for high school students, elementary school students and adults at Pre-intermediate (A2), Intermediate (B1), Upper-intermediate (B2) and Advanced (C1) level. It is excellent for strengthening your pupils' Listening and Writing skills. 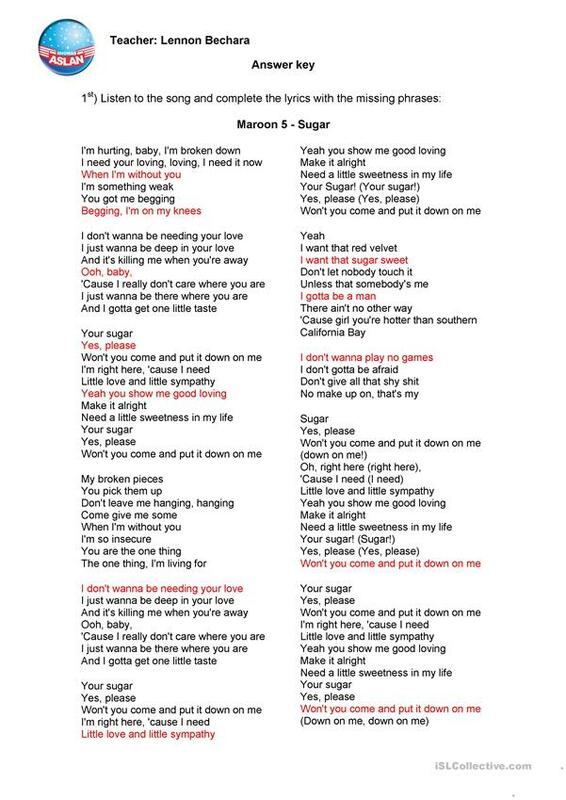 It is about the topic and words of Music. The answers are provided, too.